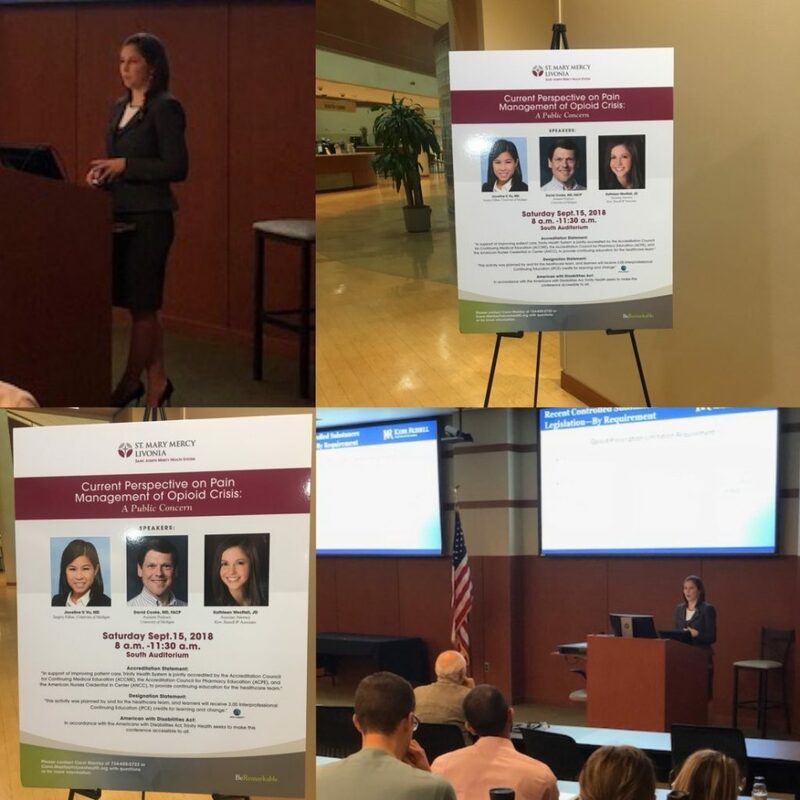 Kathleen Westfall, who co-authored with member Daniel Ferris the white paper “New laws for prescribing controlled substances in Michigan: Are you ready?,” discussed the legal implications of the opioid crisis at a St. Mary Mercy Livonia Hospital/St. Joseph Mercy Health System continuing medical education conference on September 15. Kathleen maintains a business law practice focused in the areas of health care law, insurance, securities and general corporate law. Kathleen’s work includes corporate formation and governance, contracts, and legal and regulatory compliance. In her health care law practice, Kathleen has assisted clients in reviewing, drafting and negotiating various contractual agreements including employment contracts, independent contractor agreements, participation agreements, and billing agreements. Kathleen also advises clients regarding compliance with licensing and other state and federal laws and regulations. Kathleen also represents several condominium and homeowner associations. Kathleen frequently assists clients regarding collection of unpaid association dues, dispute resolution, and insurance matters. Kathleen also has experience in reviewing, revising and modernizing association governance documents.